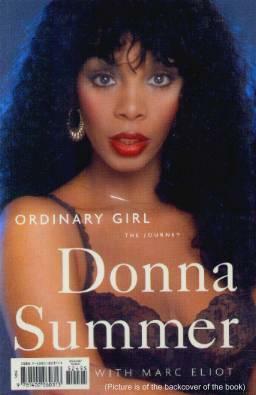 This is Donna Summer's personal story, beginning with her roots and her growing up in Boston, MA, then her introduction into the world of bands and music, and her move to New York City. She then describes her courageous move to Germany to play in Hair, how she fell in love, married, and had a daughter. She performed in musicals on stages across Europe, and basically, grew up. She discovered that when she sings, she "sings with the voice of the character in the song". Perhaps, now knowing this is her approach to performing her songs, this is why she was so appealing - she made her songs come alive. While in Germany, she met Giorgio Moroder and her career took off with the hit, "Love to Love You Baby". She goes on to tell us about her suicide attempt in New York, regaining her belief and faith, her subsequent success with hits like "Last Dance", "MacArthur's Park" (one of my all-time favorite songs), and, "She Works Hard for the Money", and the birth of her other two daughters. She also candidly tells of her jealous friend and how she coped. An easy and flowing read that I found most enjoyable. This book will give you a good insight into the lives of the rich and famous and talented, and how they sometimes "pay" for their success. I found Ms. Summer's incredible encounters with God, and her discipline, most inspiring and believable. Conclusion - Get the facts - they'll open your eyes.